Otoño es la estación Apple. Un año después del iPhone 5, Apple lanza su sucesor directo, el iPhone 5s. En términos de aspecto, no es mas que una actualización cosmética - el display IPS de 4" y el chasis siguen iguales. Sólo hay una excepción notable, ya que el nuevo botón de inicio ahora viene con un sensor de huellas. Cuando se examinan las entrañas del iPhone 5s se ven mas actualizaciones: El nuevo SoC A7 convierte al nuevo buque insignia de Apple en uno de los smartphones mas rápidos que hay. Aún así ¿bastará todo esto para defender el trono? Overall, then, it’s probably fair to give the iPhone SE the win, as it has notably better specs than its 4in siblings. However, it’s testament to the quality of the iPhone 5S and even the iPhone 5C that they are not dwarfed by the newest iPhone on the market. That said, anyone with the 5S or 5C, or even the 4 or 4S for that matter, would definitely notice the difference on upgrading, and any new buyers with a budget of around £400 should probably go for the newest iPhone SE as well. Remember, though, by siding with the 5S you're buying into hardware that's already past its prime. The 5S launched in September 2013, and it might make a better stop-gap phone as opposed to a long-term investment. If you want one of them we'd rather you set your sights on the iPhone SE. You won't regret it. By and large, our iPhone 5s performs very well for a device of its age. We can't think of a single two-year-old device that would perform as well based on the experiences of our friends and family members. A two-year-old phone isn't something we'd usually recommend even to those who're cash strapped. There are several better alternatives in the market at that price. If you can up your budget, you should get the far superior iPhone 6 or consider other Android-based alternatives in the price range. If you are thinking of buying an iPhone 5s now and nothing we've said can sway you, we'd say look beyond the 16GB variant unless you are absolutely certain you won't be installing a lot of heavy apps or games. Since we opted for a 32GB variant, we've never felt the need for more local storage. Go for the tock, not the tick, with an S-class iPhone upgrade - but which one? You do get a lot of functionality in the iPhone 5s, and it's a great budget option. And some will even prefer its petite 4-inch screen, which makes the device a little more pocketable. Nevertheless, while new features such as 3D Touch and non-charging Hey Siri make the iPhone 6s better, it's the much faster innards that warrant the extra money. The iPhone 6s is much more future-proof thanks to its A9 CPU and 2GB RAM. Get the iPhone 6s if possible. Considering it almost at the end of its year as Apple's number one, the iPhone 5s still stacks up extremely well against a mid-ranged Android handset. Performance is a win for the iPhone, as is the camera. The displays are a choice between big for viewing pleasure, and small for handling ease. The HTC is more robust, the iPhone more beautiful. And storage options favour the HTC, without it being an entirely clear cut choice. If Apple does as some suggest keep the iPhone 5s as a slightly cheaper option, it will not be a bad deal for new smartphone buyers. The Xperia Z2 offers expandable storage and a marginally better camera. It is water- and dustproof, offers stereo speakers and has an NFC chip. Moreover later versions of Android are not to be feared. We can't say that you should abandon iPhone and go for an Android, but if you are thinking of doing so you could do a lot worst than the Xperia Z2. The iPhone 5s is the best phone Apple has ever made, but on price alone it is difficult to suggest that it is a better deal than is the Nexus 5. If money is no object, however, we'd always choose the iPhone. Granted, Apple will be releasing a replacement for this handset in the next few months (either the iPhone 6 or iPhone Air, depending on who you want to believe), which will most likely have a larger screen. We can't compare this handset to one that doesn't exist, though, so for now, even after being on sale for eight months, the iPhone 5S stands up brilliantly to the competition and remains the brilliantly-made and desirable handset it was at launch. If you are an iPhone user who is happy with iOS 7 it is unlikely much about the Galaxy S5 will persuade you to make the jump to Android. The Galaxy S5 will be fast, well built, full featured. It will have a big bright and bold screen, and good cameras, and it will offer good storage and connectivity options. But all of the above is true of the iPhone 5S. The days are over when Apple was far ahead of other smartphone makers, but it remains at the top of the tree when it comes to making high-class phones. iPhone 5s vs LG G3 comparison review: How does LG's newest smartphone compare to the iPhone 5s? We were wowed by the LG G3's display, there's no denying it. But we think it's just too big at 5.5in and much prefer the smaller, lighter and more portable form factor of the iPhone 5s, which also has a delightful display. They're both powerful handsets, and don't differ in price dramatically, so it's going to be down to personal preference when choosing between these two great smartphones. If you want bigger and prefer Android devices, it's a no brainer that the LG G3 is for you. But for anyone who already owns an iPhone, we say buy the iPhone 5s or wait for the iPhone 6. Plus, those new to smartphones will probably find iOS easier to get used to, and anyone looking for a phone they can carry in their pocket and operate with one hand should also choose the iPhone 5s. The HTC One M8 is a very nice phone. But then both phones are sleek, powerful devices with numerous technological advances on their sides. You won't be disappointed if you change from iPhone to HTC, but we'd want more to persuade us to leave behind the comforts of iOS. We're happy with our iPhone. A bigger screen would be nice, but we're confident that Apple has one in the works. Having won four rounds to the Galaxy S5 and iPhone 5S's three, the Sony Xperia Z2 is our overall winner. Featuring a superior camera, better battery life, slightly improved performance and a life-proof water and dust-resistant design, the Xperia Z2 is one of the best smartphones we've ever used. However, it is a close call, and with the iPhone 5S costing less and offering easier operating system updates and the Galaxy S5 a more robust portfolio of enterprise security services, many readers will have their own favourite of the three. The iPhone 5s has proven to be a popular smartphone, and according to a research report published in early April, it has been the world's most popular smartphone ever since it launched in September 2013. 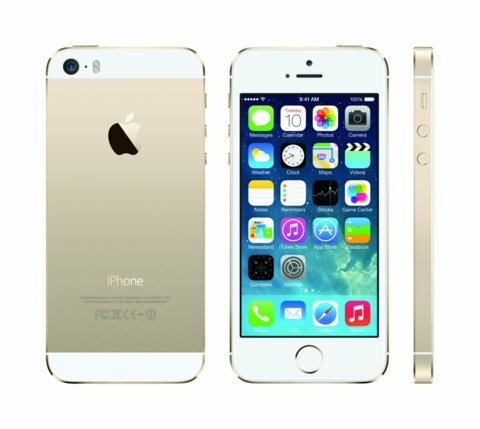 Counterpoint research's worldwide smartphone survey showed that the iPhone 5s has maintained its position as best selling smartphone worldwide. In second place is the iPhone 5c and the iPhone 4s is in fifth position behind the Samsung Galaxy S4 and the Samsung Note 3. Of course, we have no idea what to expect from the iPhone 6 and it may well be that the iPhone 5s will suit your needs better. As we explained above, the 64-bit operating system and other features of the phone will stand it in good stead for the future, so you can be sure that if you buy an iPhone 5s it will still be an excellent phone in a few years from now. Having won five rounds to the iPhone 5S' three, the Galaxy S5 is the winner of our head to head review. Offering a more rugged design, along with superior display, camera and battery life the Galaxy S5 is one of the finest smartphones currently available. However, with the iPhone 5S having been released around six months ago, the device is already halfway through its lifecycle as a flagship product. The Samsung Galaxy S5's real challenge lies in the future when Apple unveils its next-generation flagship iPhone handset. The iPhone 5s and HTC One M8 are closely matched on price, build quality and performance and there's no clear winner. The M8 benefits from more versatile storage, a bigger screen, customisable software and its unique Duo Camera. Meanwhile, the iPhone has a better all-round camera, a fingerprint scanner and simpler software. Is the HTC One m8 good enough to topple the iPhone 5s? The remarkable media hype the smartphone has received in the past couple of days has been astonishing, but we're not convinced. It's a nice phone - both phones are sleek, powerful devices with numerous technological advances on their sides - but we'd want more to persuade us to leave behind the comforts of iOS. At first, Apple's decision to stick with the same case and screen size may have seemed like it wasn't moving forwards, but after using the phone extensively we couldn't disagree more. It's incredibly fast, beating its quad-core rivals hands down, has plenty of resolution for web browsing and apps, fits neatly into a pocket, has a great camera and still the best, fastest mobile OS. If you've got an iPhone 5 there's probably not quite enough here to make you upgrade, particularly when you can get iOS 7 as a free upgrade. For other iPhone users or people that want a fast pocket-friendly handset with a great mobile OS, there's nowhere else to look. The LG G2 is without a doubt a great deal. If you are in the market for an Android phone we can't recommend it enough. And you would save some money buying the LG over upgrading to the most recent high-end iPhone. But we think that your smartphone is worth more than the £200 saving the LG G2 represents over the iPhone 5s. Go for Android if that is what you want, but if like us you are dyed-in-the-wool iPhone users, the premium is worth paying. 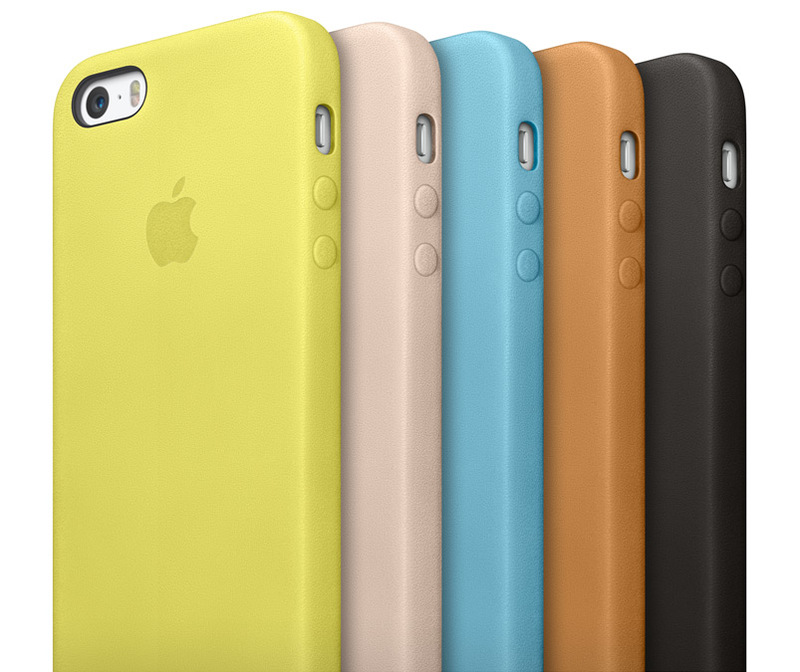 It looks like the iPhone 5C is the choice for those who want a bit more colour in their life. 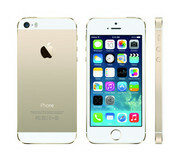 It is not Apple's cheaper iPhone, that accolade goes to the 8GB iPhone 4S (currently £349). When the features are compared the additional £80 is a small price to pay for the iPhone 5S. The iPhone 5S might be £80 more expensive than the iPhone 5C, but in our opinion it's worth the additional money. As well as a sleeker design, we found that the iPhone 5S Touch ID fingerprint scanner and A7 chip made for a smoother, more responsive experience. The iPhone 5S camera also delivers more natural-looking and detailed images compared to those shot on the iPhone 5C, and we also found that it came out on top in battery life. Having won three of our seven rounds the Apple iPhone 5S has taken the prize. While the S4 and Nexus 5 are still very good phones in their own right and offer better value for money, the iPhone 5S has a sturdier build, features a superior camera and comes loaded with improved security software. But with the S4's lifecycle close to its end and the newer Samsung Galaxy S5 expected to make its debut in the next few months, this could change sooner rather than later. If you're a convert to the plethora of phones with big screens on the market you may initially struggle to go back to the 4-inch display of the iPhone 5S, excellent though it is. That doesn't mean you shouldn't try, though. The iPhone 5S is more of a phone than some of the Android behemoths that straddle the realm of tablets, and it's a pleasure to use day-to-day. Overall winner: The iPhone 5S Having won three of our rounds, the world's best business smartphone title once again goes to Apple. But – as it offers a better display, similarly top-end performance and costs half the price – it's undeniable Google is gradually gaining ground on Apple, leaving everything to play for in 2014. Not much else is different. Both phones run iOS 7 by default – which has its detractors, but works fine on each. Both support all current 4G bands, and neither features NFC or 802.11ac Wi-Fi. However, it should be clear by now that there’s only one handset in the running when it comes to winning this particular race – it’s the 5s, and by several lengths. It’s lighter, faster, more desirable, has a better camera, and is considerably more innovative than its plastic-coated cousin. Price is by far the biggest different between the Nexus 5 and iPhone 5S. Both firms have increase the price of their smartphone compared to the previous generation but there is a big gap between them. See also: Nexus 5: Where to buy. The Nexus 5 starts at just £299 while the iPhone 5S costs a comparatively huge £549 – both with 16 GB of storage. That's the kind of value for money which is hard to argue with but there could well be things that make you pay the extra for the iPhone so we'll look at design, hardware and software. In der Praxis kann das iPhone 5s mit seiner sehr einfachen Handhabung punkten ... In der Summe bedeutet dies: Mit keinem anderen Smartphone im Testfeld gelingt es einfacher, zuverlässig Bilder in rasantem Tempo und in guter Qualität zu erstellen. Absolut gesehen liefern allerdings die Konkurrenten je nach Anwendung und Situation eine teils deutlich bessere Bildqualität. Smartphones have reached a cruising speed where they steadily evolve at a slower pace (in %) in terms of processing power and functionality. The iPhone 5s evolution definitely keeps Apple as a major player in the smartphone race and should give it a nice boost going into the holiday season. The key points of the iPhone 5s for me are the: improved camera, the single-core performance and the new fingerprint reader since they all add to a better user experience. While the iPhone 5S isn't radically different to the iPhone 5, it's a definite improvement regarding the camera, security and battery life. So for those using your iPhone for work purposes and as a camera replacement, we'd say it's worth an upgrade as early as possible. For anyone else, the updates aren't vital enough to merit rushing to upgrade and we'd instead suggest waiting until the next iPhone is out as this will likely offer a broader range of improvements. No two ways about it, the iPhone 5s is an excellent smartphone. Don’t let anyone tell you otherwise. It’s amazingly quick, boasts a superb camera and display, and is beautifully designed and put together. If your next handset absolutely has to be an iPhone, it’s a far better option than the more basic iPhone 5c. This probably won’t be enough to put off iPhone diehards, who will upgrade come what may, and it certainly doesn’t make the iPhone a terrible smartphone. For us, though, it doesn’t do enough to justify such a high price. The iPhone 5S is, predictably, the best iPhone ever from Apple - but what's intriguing is just how much we enjoyed using this evolutionary device. There's always an apathy with any kind of 'S' device from Apple, as it's historically just the same thing made a little bit better. It's true the advances on the iPhone 5S are few, but the ones that are there are very impressive indeed. So to say this is the best iPhone yet is relatively pointless, as of course it was going to be. But the combination of iOS 7 to freshen things up with a powerful core and great camera mean that this phone should be considered on its own considerable merits, and while the high price will continue to put many off, anyone already wedded to the iPhone bandwagon, or even if they're just on the fence, will find a lot of joy in a phone that's a lot more than an iterative update. At the end of the day, the iPhone 5s is an excellent phone, but whether it’s the right choice for you will depend on what you are looking for in a device. If a smallish screen and an ecosystem that’s still locked down substantially compared to Android isn’t a problem, the 5s is a great choice. If you desire a phone that pushes the bounds of tablet territory like a Galaxy Note 3 and you want more freedom over the OS, keep looking. Having won four of our six categories the iPhone 5S has won the 2013 Apple vs Samsung match. While the iPhone 5S doesn't have as good a screen as the Samsung Galaxy S4 it does feature a significantly better camera, longer battery life, more robust security features and, for those who can afford it, increased storage options. The iPhone 5s brings the most significant upgrades to Apple's flagship smartphone since the introduction of the Retina Display in the iPhone 4.Apple introduces Touch ID and beefs up the internal specs of the iPhone, but the fundamental design of its predecessor is retained. 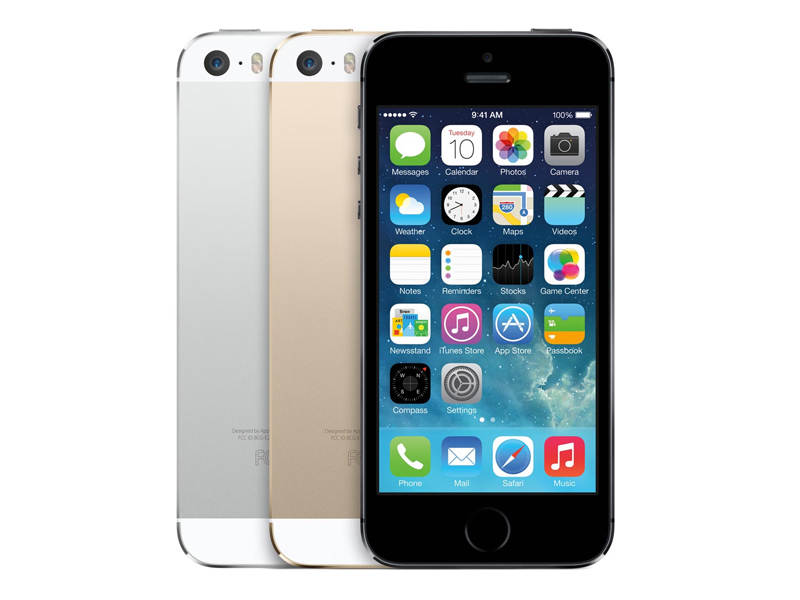 The 5s is one of the best performing handsets on the market, but is not the best value. If you already own an iPhone 5, it’s hard to justify upgrading to the 5S. Yes, it’s considerably faster and takes better photos and videos in low light, but the 5 is still a great smartphone and has at least another year in it before apps (and possibly iOS 8) start to find the A6 processor’s limits. Those with a 4S (or 4) are in for a treat, though. As well as serious performance gains, the bigger screen and lighter weight make a huge difference, and the fingerprint scanner is a bonus. Ultimately, if you want an iPhone, the 5S won’t disappoint and is one of the most future-proof of the current smartphone crop. The iPhone 5S is another winner from Apple, with its Touch ID fingerprint scanner for security, improved camera features and in-built motion coprocessor. However, those impressed by the current crop of large-screen smartphones or looking for an overhaul of the Apple smartphone rather than a few handy tweaks might not rush out to buy. The result was never in doubt. As you’d expect, the two-year-old iPhone 4S just could not compete with the 5C which is better in almost every department. Conversely, though, in every area the 4S performed well and was by no means put to shame by the 5C’s improved capabilities. As such, for anyone considering an iPhone for the first time, the 4S, at its slightly reduced cost, could prove enticing. For those considering an upgrade and impatient to wait for the 5S, put off by its increased cost, or who want a bright green, yellow, blue or red phone (it does also come in an unoffensive white), the 5C should leave you happy with its improved performance and design. It's still a very expensive handset, and one that arguably offers less value for money than our A-Listed HTC One, but next to the 5c – which is only £80 cheaper SIM free – it’s an easy choice. If you're in the market for a new iPhone now and are uncertain as to which way to go, the answer has to be to opt for the iPhone 5s. In two years' time, when you're installing iOS 8, you'll almost certainly regret it if you don't. If you already own an iPhone 5, it’s hard to justify upgrading to the 5S. Yes, it’s considerably faster and takes better photos and videos in low light, but the 5 is still a great smartphone and has at least another year in it before apps (and possibly iOS 8) start to find the A6 processor’s limits. We kicked off this review by stating the 5s has the potential to be Apple’s most game-changing iPhone since inception. Apple is clearly looking to future-proof its handset while offering developers the opportunity to take advantages of its 64-bit architecture, A7 chip and M7 Coprocessor. Right now, you won’t really experience what this phone is capable of. Give it six months and we’d expect some truly groundbreaking apps to appear. But then this is a statement of intent. It’s not only Apple’s flagship iPhone but it’s also the best phone the company has ever made. The camera is extraordinary. Touch ID is revolutionary. The iPhone 5s is a stunner today, but expect the real fun to come tomorrow. 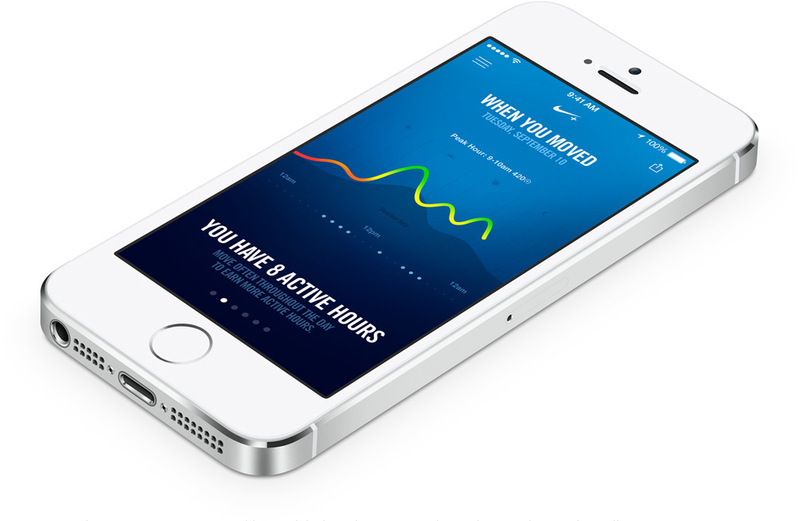 The iPhone 5s marks an interesting waypoint for Apple. The company is using last year's mechanical design (by and large, anyway), but this year's iOS. It's quite clear from iOS 7's colorful motif that the operating system was designed with the also-colorful iPhone 5c line in mind. From its fast A7 processor and fingerprint scanner to its intriguing motion-sensing M7 coprocessor,the iPhone 5s is a smartphone that both users and developers can grow into. It's practically future proof. We say practically because you can't stretch the corners of this phone to enlarge the display. Clearly, iPhone 5 owners shouldn’t consider upgrading to the 5C, but it might make sense for those with an iPhone 4 or 4s. However, the iPhone 5s is much more powerful, has a better rear camera and a useful fingerprint reader. If you can afford the extra £10 per month on contract, or £80 to buy it outright, the 5S is the better choice. So to say this is the best iPhone yet is relatively pointless, as of course it was going to be. But the combination of iOS 7 to freshen things up with a powerful core and great camera mean that this phone should be considered on its own considerable merits, and while the high price will continue to put many off, anyone already wedded to the iPhone bandwagon, or even if they're just on the fence, will find a lot of joy in a phone that's a lot more than an iterative update. The Apple haters are wrong about the iPhone 5s: this is one hell of a phone. It’s far more of an upgrade than it first seems, both as a result of its upgraded, forward-thinking hardware and its excellent new OS. Had the 5s launched with a bigger, more pixel-packed display, it could very well be going back to the top of our list of the best smartphones in the world. As it is, Android still reigns supreme. At least it does until the 6in iPhone 6 comes out next year. Got that, Apple? Is the 5s the best iPhone ever made? Yes, though that shouldn't come as a surprise. Apple took a good product and made it better through hardware upgrades, new features and completely revamped software. The 5s is a solid effort from Apple, but its true worth is yet to be determined. Would we pick the iPhone 5s over the iPhone 5c? In a heartbeat. The camera, convenience, and performance increases make that a no-brainer decision for smartphone power users. That trifecta of talents also makes a strong case against the top-tier Android devices, too: Apple still dominates the market for hand-friendly phones with flagship performance. The iPhone 5s may be Apple’s evolutionary stage, but the combination of usable technological advances and the benefits of iOS 7 add up to a supremely compelling device. From our early play with the iPhone 5s, we expect that the improvements in performance and features will attract the early-adopting Apple faithful as well as those finally looking to upgrade from an iPhone 4S. The refreshed iOS 7 might even tempt some Android and Windows Mobile users. iPhone 4S vs iPhone 5C vs iPhone 5S: What iPhone should I buy 2013? With six different iPhones on offer from Apple, we can't tell you outright which is right for you - hopefully this article helped you decide. For us, the sweet spot is the 16 GB iPhone 5S which gets you all the latest hardware, features and design. In terms of specs is a split decision as to which smartphone is better. We will be able to give a more definitive verdict as to which smartphone is the best once we do a full review of the iPhone 5s. 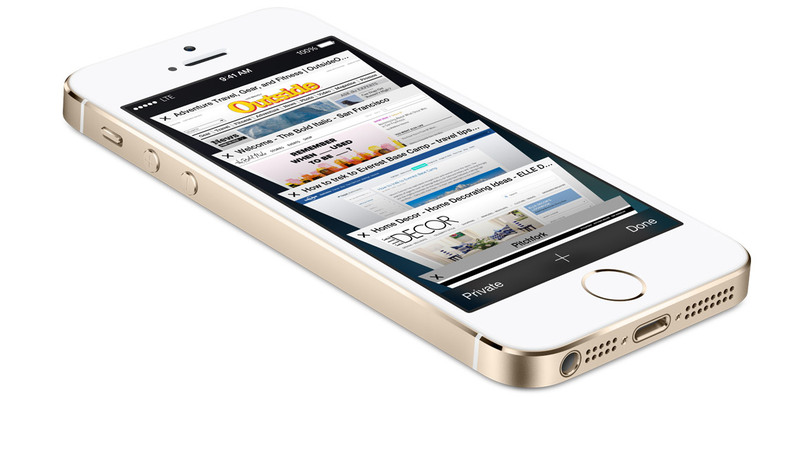 It's obviously way to early to call the iPhone 5S, but we like what we see. 64-bit computing in a phone will likely make little difference in the short term, but is a sure fire way to future proof what should be a superfast phone. The build is great, as always, and we like what we see in terms of new features. One to watch. With the iPhone 5S only bringing a handful of updates compared to the iPhone 5, it's a tough call between it and the Samsung Galaxy S4. We'll give you a decisive verdict once we've fully tested the iPhone 5S. iPhone 5S vs iPhone 5C comparison review: what's the difference between iPhone 5S and iPhone 5C? The similarities that match the iPhone 5C and iPhone 5S are in many ways as intriguing as the differences. They offer the same battery life and display, and broadly the same software experience. But the iPhone 5S is - we are told - quicker, with a better camera and some additional features. Whether that makes it worth the extra cash only you can decide. Apple iPhone 5S vs iPhone 5 comparison review: What's the new iPhone got? It's been a pretty quiet year for Apple, until now that is. The iPhone 5S has arrived in time for Christmas and has brought with it a cheaper plastic iPhone 5C. We've compared it with the previous generation iPhone 5 to highlight the differences, upgrades and new features. For starters, the 5S is externally almost exactly the same as the existing iPhone 5, including the same 4in screen size. There are some notable differences, namely the larger flash (which means some iPhone 5 cases won't fit properly), the steel-rimmed Home button (more on that later) and the all-new colour finish option, but aside from those it's nearly indistinguishable from its predecessor. The iPhone 5S isn't a market-leading device in so many ways; but then again, that's never been Apple's strategy, and that's a good thing. And if you're one of those that deserted the platform after poor battery problems or signal issues, you'll especially like the iPhone 5S, which feels like one of Apple's most stable devices to date while carrying on the tradition of a close eye on premium design. Top Leistung in bewährter Form? A7: SoC desarrollado por Apple, utilizado en el iPhone 5S y iPad Air. Ofrece dos núcleos ARM "Cyclone" (ARMv8, 64-bits) y una GPU PowerVR G6430 integrada. 4": Esta es una de las diagonales más pequeñas para smartphones. Grandes tamaños de pantalla permiten resoluciones más altas. Por tanto, los detalles como letras son más grandes. Por otro lado, el consumo de energía es más bajo con diagonales de pantalla más pequeñas y los aparatos son más pequeños, más livianos y más económicos. 0.112 kg: Solo algunos smartphones son más livianos que eso. 89.78%: No existen muchos modelos que sean evaluados mejor. La mayoría de las evaluaciones obtienen resultados que son un poco peores.